Are you getting ready to homeschool your preschooler? With so many curriculum choices, learning styles, and Pinterest ideas; it might be hard to decide on what exactly you are going to do with your preschooler at home. 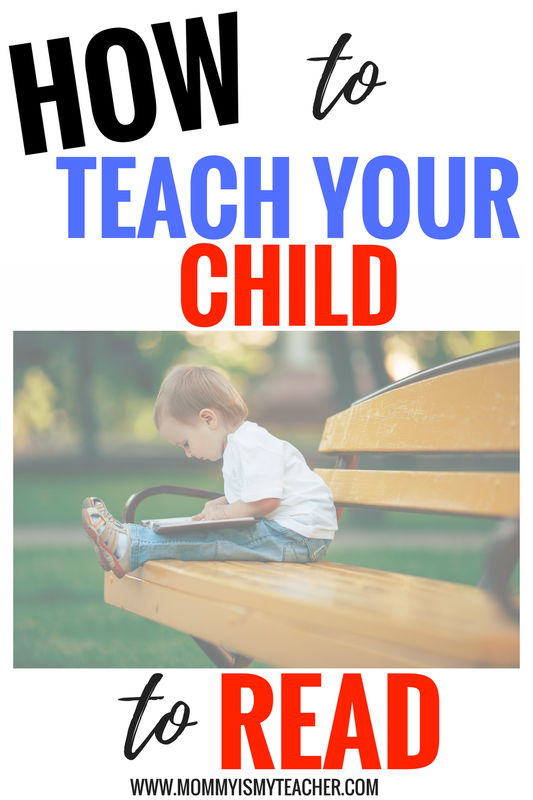 In my post, 4 easy steps to homeschooling your preschooler, I talked about the basics of what your homeschool might look like. This year I will be homeschooling my twin 4 year olds starting in August. One thing that I did not want to do was to spend time on the Internet searching for quality printables that actually taught the skills needed for my children to get ready for kindergarten. Although there are a lot of “cute” printables, they aren’t actually functional. So I created my own flexible preschool curriculum. Since my twins can read, we will be focusing on more in-depth skills. Learn to Read is a complete reading curriculum that includes 6 full units, and each unit focuses on a specific word family. Each unit includes 4 lessons that last five days each. Each lesson has 25 or more activities that focus on the word family. Learn to Read is a great resource for children who already know letter sounds, and some sight words, since they will be combining the sounds to actually read. Learn to Read teaches beginning readers how to read and spell through common word families, sight words, and short vowel sounds. I will be using the entire bundle, since I plan on continuing it through the summer. The bundle also saves you $12, than buying each unit separately. However, if you are on a budget, each individual unit is available for purchase as well. I think that you could go through at least 3 units comfortably through the school year, and your child will still be well prepared for kindergarten. Our preschool math curriculum will consist of all of the kindergarten readiness skills needed for kindergarten, as well as fun activities from KinderStar and my preschool curriculum. Preschool math is very hands on and includes skills such as counting up to 20, which I will be using grid games to practice. In Preschool Star, there are created 2 grid games for each unit to practice counting up to 10, and up to 20. Grid games are great independent practice once your child knows how to count. 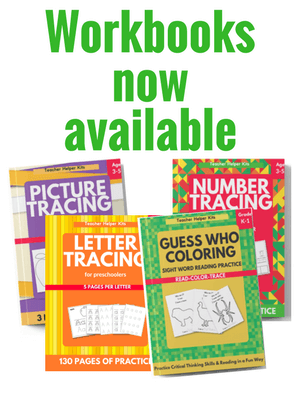 I have also included number recognition and tens frame practice in my preschool curriculum. We will be doing thematic preschool units so Science & Social Studies will be incorporated into our weekly book choices, printables, and activities for each unit. For example, in the Apples unit, we did a fun experiment where we saw the effects of liquid on apples. Handwriting and fine motor skills practice are also included in the preschool curriculum. Before kindergarten, preschoolers should be able to write their first and last name. A great way to practice is when you are doing work with your child, start requiring them to write their first name on their paper. Once they are comfortable, you can start teaching them their last name. There are so many other skills that children need for school such as social skills, emotional skills, and practical skills. In my KinderStar course, I include a 90+ page Parent Activity Guide that includes activities to practice each of these skills. I usually get all of my homeschool resources for free using Swagbucks. Since I am trying to be more minimalist and we will be moving soon, I won’t buy as many books and instead check them out from the library. Be sure to reserve your library books at least a week in advance, so that way you will be prepared for the next unit. On my preschool curriculum page, each theme has a list of suggested books to read during the unit. Those are just a few of the books, but of course you can read more. We usually read at least one book a day. Throughout the school year I will also get what is needed for each theme as I earn more Swagbucks. Remember, homeschooling your preschooler does not have to be expensive. Be creative and think of ways to cut the costs. The most important thing to remember is to teach your child the skills he needs to excel in kindergarten. What will you be using for your preschool homeschool curriculum? Let me know in the comments below. Grab my free Preschool Homeschool Planner so that you can plan the perfect preschool activities at home for your child. Even if your child is only one years old, it is very important to NOT wait until she turns 4 or 5 to prepare her for kindergarten. Studies show that the first five years of a child’s life is critical for brain development so it is important to begin to teach your child at birth. Even when your child is in the womb, you can begin to read to your child. Once your child is born, you can give him an academic headstart by doing developmental appropriate activities and continually advance your child as they get older. Kindergarten is not how it was when you were a child. It is not even the same that it was 10 years ago! With ever-changing academic standards, new laws, and school district policies; it is imperative that you teach your child at home so they will be prepared for school. There are four main reasons why you must teach your child before kindergarten. 1. Preparation is key for early success. When your child enters school, they will be in a brand new environment with other children and a teacher. It is important to prepare your child for their new environment so that it won’t be a traumatic experience. Many children cry and have a tough transition into school (preschool or kindergarten) simply because they don’t know what to expect. You can prepare your child simply by getting him used to sharing and interacting with other children at the library, playdates, or other child-friendly outings. 2. Avoiding unnecessary labeling of your child. As a former public school teacher, I saw many children that were labeled or diagnosed for one reason or another. Many schools have assessments that they use at the beginning of the school year to determine where a child stands academically. This child can then be labeled behind or needs improvement, because they aren’t on the same level as the rest of the class. Unfortunately, even when the teacher provides lower work for a child, the assessment is still standardized, which means it’s the same for everyone. So the child who doesn’t pass the assessment will always be playing catch-up because they are behind. You can begin to work with your child so they are ready for school. Your child doesn’t have to know everything, but if they have background knowledge of a topic, once they are introduced to it, the lesson will be easier for them. For example, a child that knows most of his sounds will learn how to read faster than a child who doesn’t. 3. School has a lack of one on one time with students. No matter how good of a teacher your child has, it is impossible to sit down and work with each child one by one every day. Kindergarten classes range anywhere from 20-27 students, sometimes without an aide! Each child has their own needs and abilities, and the teacher has to figure out how to reach them. Not to mention that if your child is not at the level of the majority of his peers, he will have a hard time catching up in a large group. As a parent, you can work with your child to make sure he knows what he is supposed to know. There are so many things that a kindergartener needs to know from math skills to reading skills, that is imperative as a parent you expose your child to these skills. I don’t know about you, but I feel great whenever I am doing something that I already know how to do. So imagine how great you child will feel to enter school, already knowing the alphabet, letter sounds, and how to count? To develop a positive attitude towards school, it is first necessary to build your child’s self-confidence. Even if she doesn’t fully know everything, she will feel comfortable with the knowledge she does have and be able to better perform in school. These are the four main reasons why you should definitely teach your child before kindergarten. This is what I did with my oldest two girls, and they have excelled in school ever since. I work with my preschool twins daily, and at three years old they know almost 100 sight words, can count to 30, and can do simple addition and subtraction. In my KinderStar Course I show you exactly what you need to do in order to prepare your child for school. KinderStar includes a 90-page Parent Activity E-Guide, which gives activity suggestions for each kindergarten objective. It also includes 15 video modules where I show you the same activities I do with my twins, that will show you how to teach your child. I also included printables so your child can practice their new skills. How do you prepare your children for school? Leave a comment below.